Mamontov, Yakiv [Мамонтов, Яків], b 4 November 1888 in Strilytsia (now Shaposhnykove), Sumy county, Kharkiv gubernia, d 31 January 1940 in Kharkiv. Dramatist, theater scholar, and pedagogue. He began his literary career by writing poetry and prose. 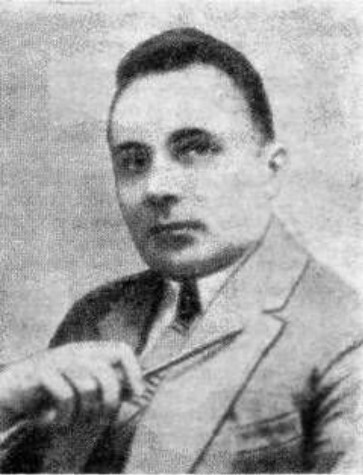 He published the story Pid chornymy khmaramy (Under Black Clouds) in 1907, and poems, such as ‘Koly ia dyvliusia’ (When I Look, 1908), which later appeared in the collection Vinky za vodoiu (Wreaths on the Water, 1924). The majority of his literary output, however, was plays: Divchyna z arfoiu (The Girl with a Harp, 1918), Veselyi kham (The Happy Boor, 1921), Dies Irae (1922), Koly narod vyzvoliaiet'sia (When a Nation Liberates Itself, 1923), Ave Maria (1924), Do tretikh pivniv (Until the Third Cockcrow, 1924), Respublika na kolesakh (The Republic on Wheels, 1928), Rozheve pavutynnia (Pink Cobweb, 1928), Kniazhna Viktoriia (Princess Victoria, 1928), Het'manshchyna (The Hetmanate, 1930–9), and Svoia liudyna (A Person One Can Trust, 1936). He also wrote a number of stage adaptations of the works of Taras Shevchenko, Mykhailo Kotsiubynsky, Ivan Franko, and others. Most of his plays centered on the Revolution of 1917 and the Ukrainian-Soviet War, 1917–21, in which otamanshchyna, or war lordism, is satirized. He wrote operatic librettos, including Zolotyi obruch (The Golden Ring), Turbaïvtsi, and Karmeliuk. He also tried his hand at screenplays and children's plays (Kho). Having begun to write before the First World War, he continued to be mainly influenced by Ukrainian modernism. For that reason, although his plays were popular in the 1920s (of the 27 he wrote, 21 were staged, in many Ukrainian and Russian theaters), and although some of them, such as Respublika na kolesakh and Rozheve pavutynnia, were written with the Soviet censors in mind, Soviet critics harshly attacked his works. In the early 1930s his plays were barred from theatrical repertoires altogether. 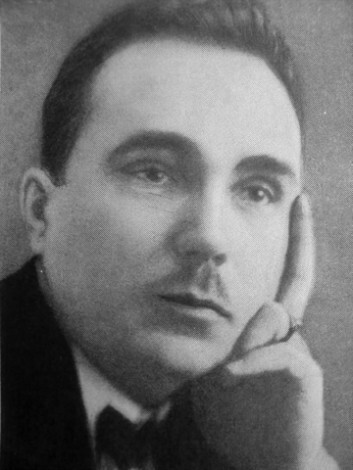 Mamontov also wrote a number of studies in drama, including Dramatychne pys'menstvo (Dramatic Writing, 1927–8), Ukraïns'ka dramaturhiia peredzhovtnevoï doby (Ukrainian Prerevolutionary Drama, 1931), and Dramaturhiia I. Tobilevycha (The Dramaturgy of Ivan Tobilevych, 1931). Together with Oleksander Biletsky he edited Khrestomatiia istoriï ukraïns'koho teatru (An Anthology in Ukrainian Theater History, 1941). He also wrote ‘Pedahoh iak mystets'’ (The Pedagogue as an Artist, Suchasni problemy pedahohichnoï tvorchosty, 1922, no. 1) and taught pedagogy in various postsecondary schools in Kharkiv. A volume of his works was published in 1962.